1.) Tell us about a memorable blind date. 2.) Other than the birth of a child or your wedding, write about a joyous moment. 3.) Write about one of the most difficult decisions you have made in your life. 4.) Share the best picture you took last month and explain why it's your favorite. It's that time, Mama Kat's Writer's Workshop Wednesday. Prompt #1, blind date, can't really write about that since I have never been on a blind date. Can't really think of a joyous moment in my life other than said events, so Prompt #2 is out. Prompt #3 would be slightly boring, so that leaves me with Prompt #4 which is Share the best picture you took last month and explain why it's your favorite. 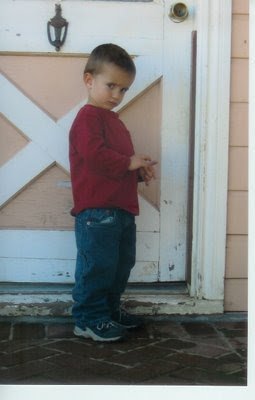 I am going to tweak it a little, the picture I am choosing is from about 3 years ago. This is my favorite picture ever! Yes, he is angry, but that isn't anything new these days. He is about 3 years old here, but 6 now. This is a face I have seen often, throughout my childhood and now, again, in adulthood. My sister was the best at looking at people through her eyebrows when she was angry. That was her evil eye. Amazingly enough her nephew, Trevor, can produce the same look while experiencing angry emotions. The first time I saw it I laughed with many memories of my sister making the same face. As luck would have it I had my camera for such an occasion and sent the picture to my sister. I asked her if the face reminded her of anything and she laughed because she knew it was a face she had mastered as a child. This face still makes me laugh, I have a feeling it will make me laugh til the day I die. Trevor and Erika wouldn't be who they are without this cute, angry face. 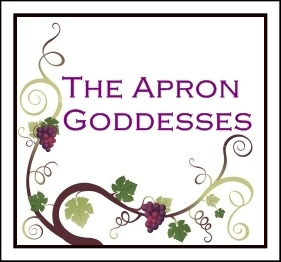 On another note, if you have a chance pop on over to The Apron Goddesses and check out the drawing for a very pretty apron sponsored by Gift an Apron. I've seen that face in my house many a time! What a cutie. He is so cute. Thanks for stopping by. On the blind date thing I always made sure it was in a very public place where I felt safe. A girl can't be too careful. I was reading your about me and was like "wow she drives a cab and is a nurse". Then I realized you were a mom. LOL... We do it all don't we? Oh, I love the picture. He's really cute. That is a precious photo! Nice pic...my little girl has the look on occasion. By the way, the name of the movie was "Down To You" with Julia Stiles and Freddy Prince Jr. I can see why that is your favorite shot. It shows so much in his cute little face. Isn't it funny how a face follows generations...lol. What a doll...mad or not. You know he is going to get whatever he wants with that face .. I be he already does! Thanks for stoping by my blog today. I hope you do, do the coupon thing. 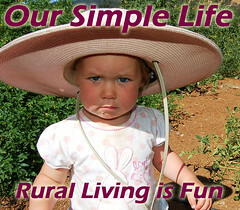 I can't tell you how much it's saved me in time, money and frustration! Good luck in the contest, don't forget to stop back by on Sunday. What a face! Great pic! Those are cool writing prompts! And love the pic!